Amazon's business has seen extraordinary growth recently. But what's in store for the e-commerce and cloud computing company in 2018? Just when Amazon.com's (NASDAQ:AMZN) revenue growth seemed like it couldn't get any more impressive, it did. After the company surprised investors in its third quarter with a 34% year-over-year increase in revenue, growth accelerated even more in Amazon's fourth quarter. Fourth-quarter revenue increased 38% year over year to $60.5 billion, coming in at the top end of Amazon's guidance for fourth-quarter revenue between $56 billion and $60.5 billion. Can Amazon's growth story persist in 2018? After all, how much bigger can a company that is already raking in $178 billion of annual revenue get? While growth rates as high as those seen in Amazon's recent quarters likely can't be sustained much longer, investors should still expect impressive growth from the e-commerce and cloud computing giant this year. 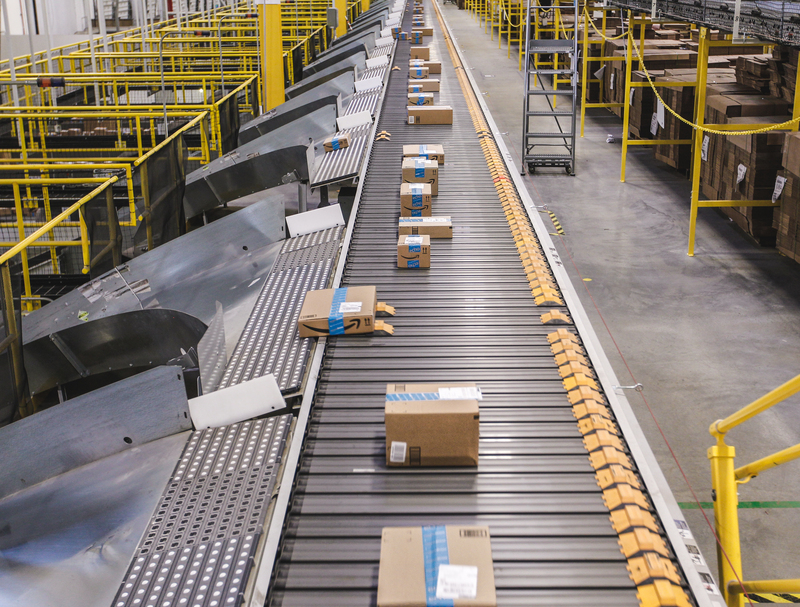 Here are three reasons why Amazon's business still has plenty of room to run. Amazon's guidance for first-quarter revenue was huge. Management said it expected revenue during the period to be between $47.75 billion and $50.75 billion, representing 34% to 42% year-over-year growth. The high end of this guidance range, therefore, would mark yet another acceleration in Amazon's already remarkable revenue growth. There are two good reasons investors should give significant weight to Amazon's guidance. Amazon's guidance is usually conservative. In all four quarters in 2017, for instance, revenue either came in at the high end of management's guidance range, matched the high end of the range, or exceeded the range entirely. Management's guidance is well informed. For its fourth-quarter earnings report, which was released on Feb. 1, management had more than a month of data from its first quarter when it provided guidance for the period. Again, investors shouldn't expect Amazon to sustain such extraordinary growth rates. But it's notable that apparently there's a good chance that Amazon's revenue growth can accelerate at least one more time. This strong start to 2018 would put Amazon well on its way to another year of robust revenue growth, and it highlights the significant tailwinds at the company's back. Amazon's most important catalyst -- Amazon Web Services (AWS) -- continues to grow faster than e-commerce sales. The cloud computing business saw its sales soar 45% year over year in Q4. This was up from 42% growth in Q3. With AWS accounting for 9.8% of Amazon's total revenue in 2017, up from 9% of Amazon's total revenue in 2016, this fast-growing business continues to have a larger impact on Amazon's overall results -- and this trend should only continue. Of course, looking at AWS' revenue trends drastically understates the segment's growing importance to Amazon. The best measure of how AWS is impacting Amazon's growth story is the segment's operating income growth. In 2017, AWS operating income was $4.3 billion, up from $3.1 billion in 2016. This easily beat 2017 operating income in Amazon's two other segments. North America sales operating income in 2017 was $2.8 billion, and Amazon's international sales segment recorded an operating loss of $3.1 billion. Serving as Amazon's cash cow segment, AWS will likely be central in helping Amazon grow its bottom line in 2018 and beyond. While AWS may be Amazon's most important growth catalyst, there's still growth to be had in Amazon's core market for North America sales. Revenue in the segment was up 42% year over year in Q4. The growth rate beat 29% year-over-year growth in Amazon's international sales segment during the quarter. At about 60% of consolidated revenue, strong growth from Amazon's biggest segment reinforces the company's growth story. Considering management's optimistic first-quarter guidance and sharp growth trends in AWS and Amazon's core North American market, Amazon's growth story remains intact. Sure, year-over-year revenue growth will eventually decelerate to more moderate levels below 20%, but 2018 is unlikely to be the year this happens.